A beautiful result with wonderful highlights of silver dust painted by a fine bristle brush of deft angels! 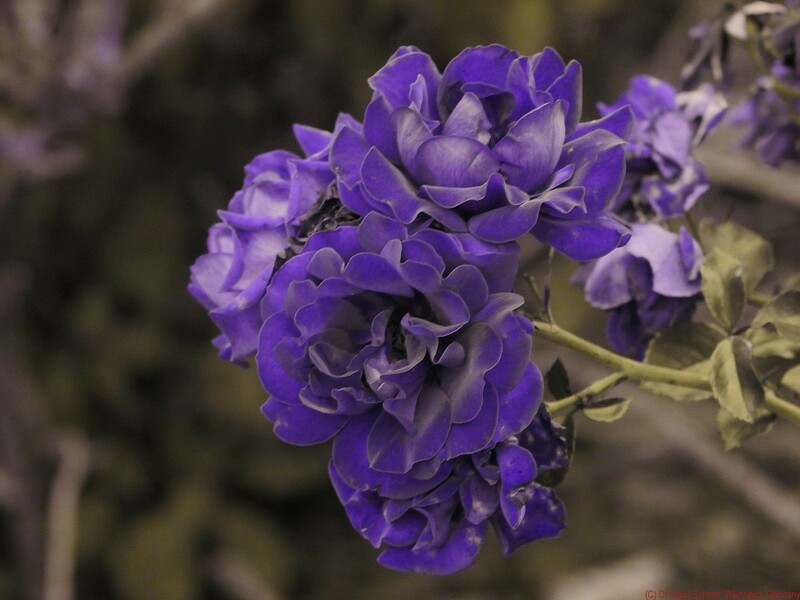 At last, the insect princesses with UV si ul aged vision have a really beautiful flower to admire in lilac! This color becomes ultra-fashionable for women every 15 years or so. I would love to see roses like this! Has anyone cultivated such a rose, this color in visible light. Are there possibilities for further processing this, Klaus, to discover zones of variance of the magenta/purple hue, or this is made from a single monochromatic hue? I was thinking then that the saturation variances could be brought out using some first- or second-derivative function? What PS filter might do that? When the color is perfectly uniform it departs from biology. What do you think? Still I love this flower! of this shot, done in color (RGB) using a modified camera (but still not mono).